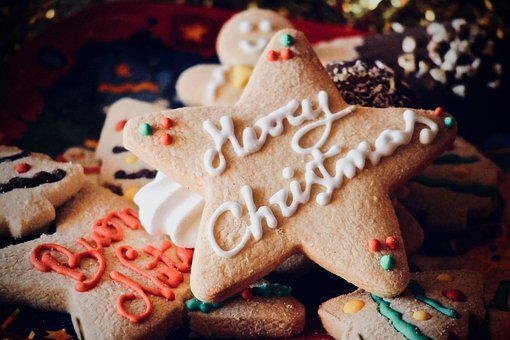 These yum gingerbread recipes will get you in the mood for Christmas! With ginger being long associated with Christmas, this is a wonderful time of year for all you ginger enthusiasts out there. 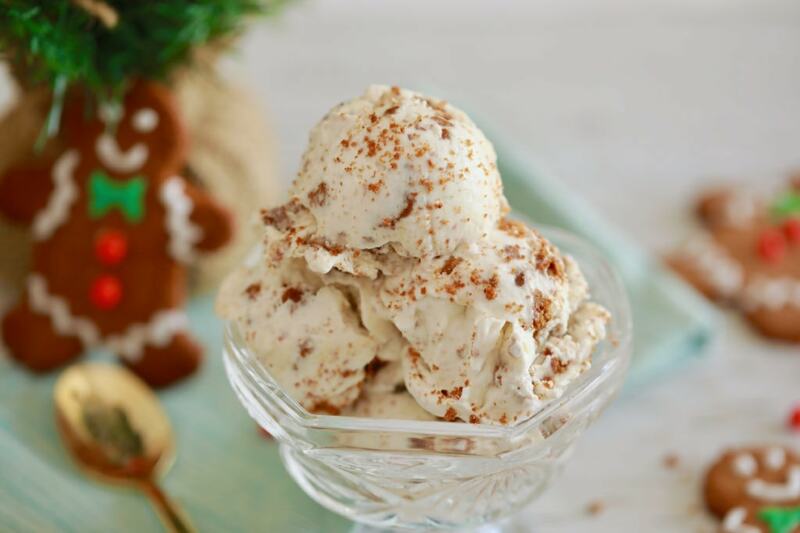 Here are some gorgeous and diverse gingerbread recipes to ensure that you have a deliciously spicy yuletide season and beyond! This recipe combines ginger, cinnamon, cloves and molasses to give you the perfect chewy gingerbread biscuits. You’ll also need confectioner’s sugar and meringue powder for the decorative icing. See the full ingredients list and instructions at If You Give A Blonde A Kitchen. Image: If You Give A Blonde A Kitchen. Why not build them a gingerbread dream house? This recipe is courtesy of Stuck On You alumni, Cameron. Beat the brown sugar, butter and eggs using an electric beater in a large mixing bowl until light and fluffy. Then mix in the honey slowly until thoroughly combined. Place a non-stick baking mat or baking paper onto a table and dust with flour. Empty the gingerbread house mix onto this and knead until smooth. Shape into a ball and wrap up in cling film. Let the mix rest in the fridge for an hour. The mix can last in the fridge for up to 5 days. Once rested, divide the mix into portions. Use a rolling pin to flatten the portions into ½ cm thick disks. Cut the walls, roof, and any other details out using a sharp knife. (For best results, dip the knife into a bowl or jug of hot water before making the cuts). Once all the shapes are formed, line a baking tray with grease proof paper, place the shapes onto the tray and bake in a pre-heated oven at 180C (160C fan forced) for around 10 minutes or until golden brown. Once cooked, allow the gingerbread pieces to completely cool on a rack. It is during this stage that you can make the royal icing. Royal icing is used to ‘glue’ the sides of the gingerbread together as well as for decorating. Crack both eggs into a mixing bowl and separate the whites. (The simplest method is to scoop the eggs yolks with your fingers and let the egg whites run through the cracks). Using an electric beater, slowly mix the vanilla essence and icing sugar into the egg whites, beating them to stiff peaks. Refrigerate for about half an hour. Using a piping bag or knife, spread the icing along the edges of the gingerbread house and allow to set. 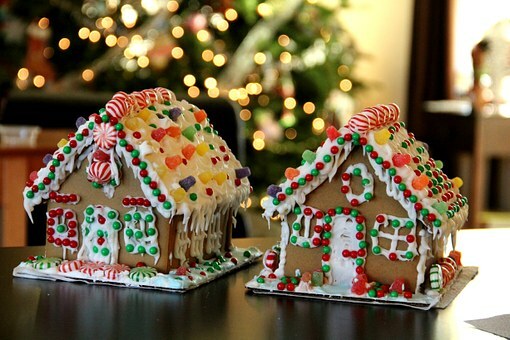 Using lollies and coloured icing, decorate your gingerbread house. 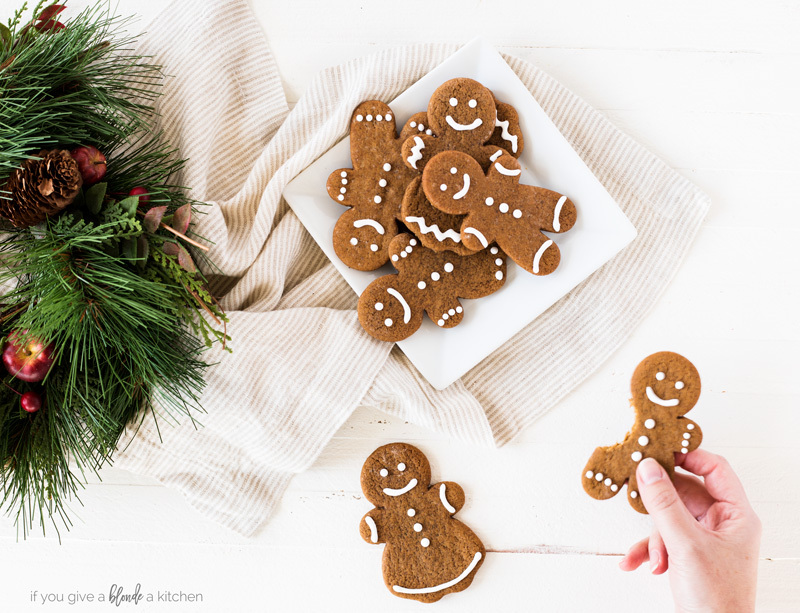 After a busy day of constructing gingerbread houses for gingerbread people, what better way to relax than with these super easy gingerbread mug cookies? All you require is some butter, sugar, egg yolks, flour, salt, cinnamon and ginger. Simply combine the ingredients in the mugs, then microwave for between 45 – 60 seconds. 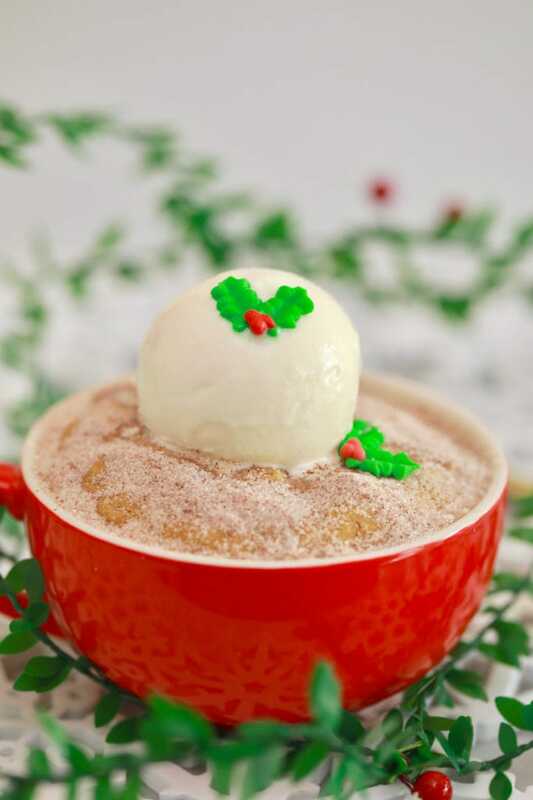 Serve with a bit of vanilla ice cream on top. Easy! 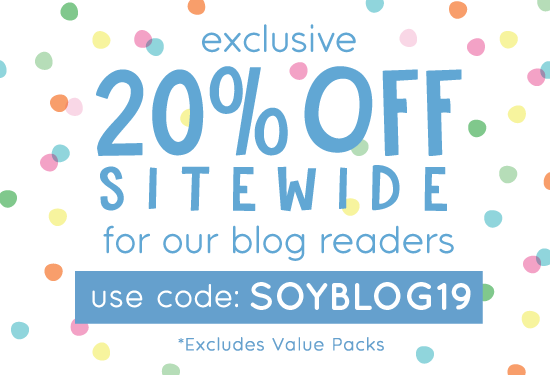 See the full ingredients list and instructions at Bigger Bolder Baking. 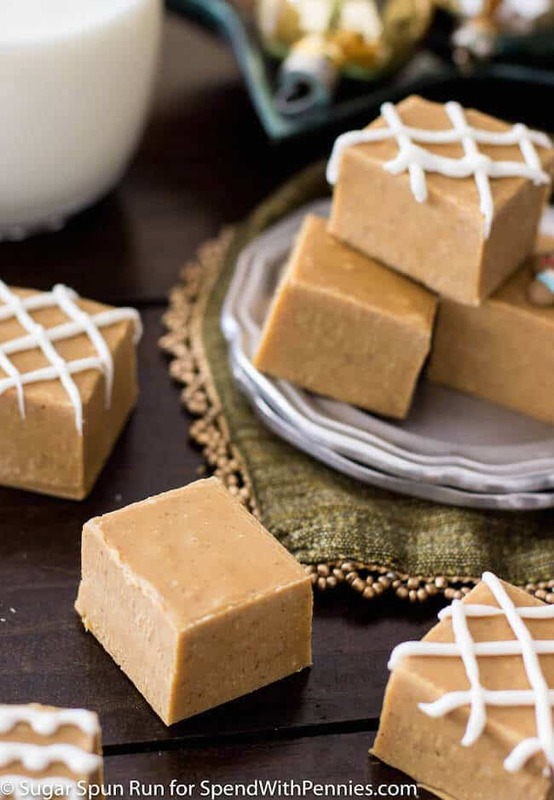 Made with condensed milk, white chocolate buttons and an exquisite blend of spices, this divine fudge doubles as a great at-home treat, or a lovely gift to deserving others! For full ingredients and directions, see Sugar Spun Run. Ginger tends to be associated with cosy warmth on a cold winter’s night.